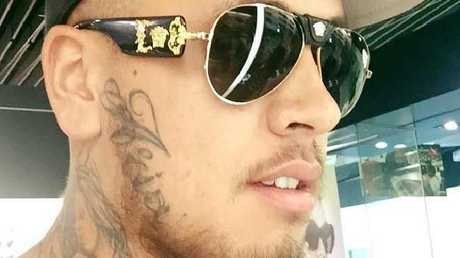 LIONEL Patea has pleaded guilty to the murder of his former girlfriend Tara Brown. Ms Brown, 24, died after Patea ran her off the road in a suburban Gold Coast street in September, 2015. As she lay trapped in the car, Patea viciously beat her with a cast-iron water hydrant cover. Ms Brown had just dropped their daughter, Aria, off at childcare when the shocking attack unfolded. Patea entered guilty pleas to murder, dangerous operation of a motor vehicle and unlawful use of a motor vehicle shorty after 10am this morning, before his trial was scheduled to start. Gold Coast lawyer Campbell MacCallum made a statement outside court on behalf is his client. In the statement, Patea said he accepted "full responsibility" for his actions. 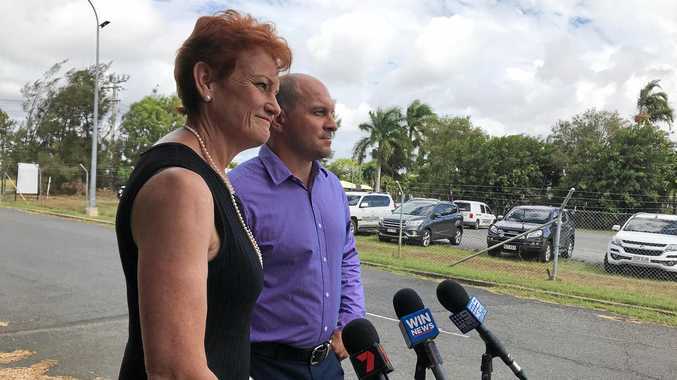 "I do this with the full support of my family who have encouraged me in my decision to face up to my actions and provide closure for the Brown family," Mr MacCallum read. "I do not want to cause Tara's family further pain. "I accept without hesitation the punishment imposed upon me by the justice system." Earlier, in court, Ms Brown's mother Natalie Hinton wept as Patea was brought into the dock wearing a navy suit, white shirt and black tie. It is understood Ms Brown made a harrowing Triple 0 call before her death, which was to be a key piece of evidence in the trial. 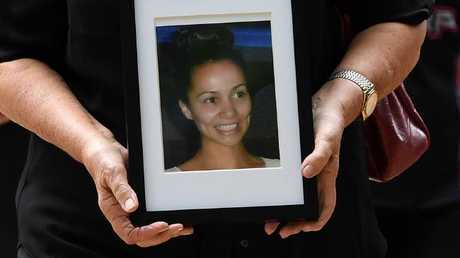 The young mum suffered critical head injuries and died the next day in hospital. Tara Brown’s mother Natalie Hinton receives comfort by a supporter outside Brisbane Supreme Court. Patea's sentencing hearing has begun, with evidence heard of the brave witnesses who attempted to stop Patea's brutal actions. One man, who lived in a nearby home, had helped Patea to get into the car after he ran Ms Brown off the road, believing he was trying to help her. He couldn't have imagined what would happen next. Crown prosecutor Carl Heaton QC has told the court Patea began beating Ms Brown with the cover of a water hydrant. Ms Brown was on the phone to Triple 0 at the time and the attack was recorded. Mr Heaton said 16 "thumps" are heard on the audio, and then a female witness can be heard saying: "what the f**k are you doing". There are another 13 "thumps", Mr Heaton said, "followed by silence". The female witness jumped on Patea's back at one stage and later stood between him and Ms Brown as she lay trapped in the car and told him to "piss off". The male witness had tried to pull him from Ms Brown and phone police, to no avail. Her death sent shockwaves through the nation, and that grief was compounded when just two days later a Karina Lock was murdered by her husband at the Helensvale McDonald's. The domestic violence murders sparked calls from the community for the State Government to act. National domestic violence helpline: 1800 737 732 or 1800 RESPECT. In an emergency call triple-zero.